In 1935, a provision to provide unemployment compensation benefits for workers temporarily unemployed through no fault of their own was signed into law. Effective January 1, 1978, this provision was amended to extend coverage to government agencies. With this extension of coverage came costs to school boards which continued to escalate. Dr. Dan Tollett, Executive Director of the Tennessee School Boards Association proposed that the TSBA lead in establishing a separate entity to explore ways to help school boards with insurance problems they were facing and to reduce unemployment costs by lowering rates and providing cost management services to local school board systems. The TSBA Board of Directors supported the proposal. On July 1, 1980, Peggy Walters (Maury County), Dr. Merlin L. Cohen (Union City), and Sue N. Puckett (Jernigan) (DeKalb County) signed an Agreement and Declaration of Trust officially creating the Tennessee School Boards Insurance Trust (TSBIT) as a distinct and separate organization from TSBA, and providing to seven trustees exclusive authority to govern the Trust. The seven school board members selected from the TSBA Board of Directors to become the charter trustees included the three named above as well as John Franklin (Chattanooga), Allen Watts (Rutherford County), Bill Ross (Madison County), and Billy Ray Vinson (Hardin County). Peggy Walters was named as Chairman and TSBA Executive Director Dr. Dan Tollett was designated as Trust Administrator. The Trust was designed as an umbrella organization under which any type of insurance services could be offered to local school boards in Tennessee. Of the seven school boards represented by the charter trustees of the Tennessee School Boards Insurance Trust, only two, DeKalb County and Hardin County, actually became members of the Trust. The trustees selected Gates-McDonald, Inc. to help set up the Trust and to provide a series of regional meetings with school boards to explain the new concept to them. Kelly Potter and Woody Hillard of Gates-McDonald joined TSBA staff members, Dan Tollett, Wanda Anglin Little and Dr. Dana Swick, in conducting the sessions. At the time most school boards in Tennessee were tax-paying boards. Under this plan, the state collected 1½% of the first $6000 of taxable payroll per employee from each local school board and in turn paid unemployment claims on behalf of the board. The Tennessee School Boards Insurance Trust began by reducing the rate paid by local boards– most by 50%– thus significantly cutting the cost to the school boards that became members of the Trust. Unlike the state fund, unused funds of the TSBIT would be held and used for the benefit of the membership as determined exclusively by the trustees. Member boards had no individual liability nor any individual claim to any surplus generated. Thereafter, trustees established a formula for determining individual rates for each member board based upon that board’s unemployment claims experience. In December 1980 with a membership of 35 systems, the fund reserve stood at $119,363.59. Dr. Tollett articulated a vision of a Trust which would eventually be able to pay all costs for unemployment from the return on wise investment. Trustees adopted the vision and even though the overall percentage of contributions required from boards continued to decline, the board of trustees began to invest the funds held in reserve. The trustees’ commitment to the vision was supported by member boards since premiums were lower than they had been paying before the Trust was formed. Fortunately for the trust, the growth of the trust reserve was fostered by unusually high interest rates. With the growth of the reserve, trustees considered options for obtaining maximum returns on Trust investments. Bill Peerman, a professional investment consultant who was helping the Trust revise its investment policy, went to the Department of Commerce and Insurance to investigate the investment options available to the Trust. He found no prohibition against investing unemployment compensation funds in the stock market. There was, however, a prohibition on the investment of most other insurance funds such as a worker’s compensation fund that may be established for local school boards. This provision solidified the TSBIT trustees to deal exclusively with unemployment compensation and not to bring other insurance programs into the Trust. In 1985, the reserve in the UCT had grown substantially to $1,512,449.00. Since the UCT was housed at the TSBA offices, the UCT trustees voted to pay TSBA $148,500 in advance to as a long term lease whereby TSBA Board of Directors agreed to provide three offices in its headquarters building for the UCT for 99 years. Trustees at the time of that action were: Chairman Charles Bridwell (Sullivan County), John Franklin (Chattanooga), Nancy Holland (McKenzie), Sue Puckett-Jernigan (DeKalb County), Dr. William Hoover (Paris), Judy Toombs (Wilson County) and Billy Ray Vinson (Hardin County). Since the only program ever offered through the Tennessee School Boards Insurance Trust was unemployment compensation, in 1987, the Trust became known as the Tennessee School Boards Unemployment Compensation Trust (UCT). In 1992, the trustees voted to fund the building of a board development center and risk management offices as an addition to the TSBA headquarters. The addition cost $450,000 completely funded by the Unemployment Compensation Trust. Trustees at the time of the vote included Chairman Jim Mansfield (Warren County), Patricia Gruenewald (Haywood County), Roger Greene (Hamblen County), James Neely (Huntingdon), Christine Howard (Covington), Becky Jaquish (McMinn County) and Dr. Sam Winfree (Putnam County). In 1993, Kristi Coleman joined the TSBA staff. In 1995, she began to handle financial affairs for the UCT. She worked closely with professional money managers to handle Trust investments. Significant growth of trust funds occurred during this period. Because of the success of the Unemployment Compensation Trust and the growth of the reserve fund due to wise investment, the trustees determined that recruiting additional school boards for membership in the UCT would be disadvantageous to the school boards that were already members of the Trust. At that time, membership had reached 54 school boards including TSBA. 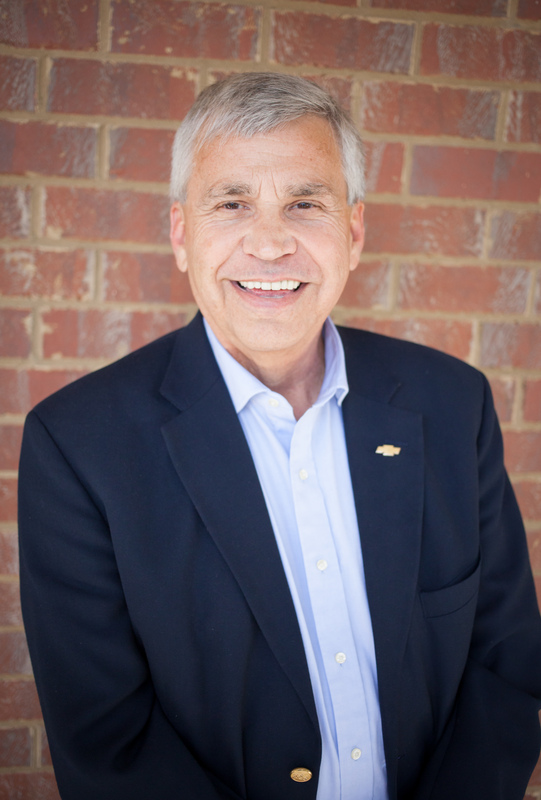 At the end of December 2003, Dr. Dan Tollett retired as TSBA Executive Director but continued to serve part-time as Administrator of the trust as he had done since its inception. Although UCT was clearly established as a separate entity with its own governing board of trustees, in 2005, the leadership of TSBA asserted that because TSBA helped start the UCT, it owned the UCT and could use the funds in the Trust for the benefit of all members of TSBA—not just the members of UCT. In response to a request for an opinion by TSBA, the Attorney General opined that UCT was its own separate entity. He further opined that TSBA was not a governmental entity and therefore could neither own nor be a member of UCT. Based upon the AG opinion, the UCT attorney advised that UCT could no longer legally pay a sponsorship fee to TSBA without something of value in return. UCT trustees, wanting to continue its support of TSBA, generously offered to continue to provide $85,000 annually to TSBA as it had done for several years but with the sole requirement that TSBA use the funds to conduct activities related to school board responsibilities concerning employment, unemployment or personnel management. TSBA President John Conley who had accepted an invitation to attend the trustee meeting, informed the trustees that TSBA had no interest in the offer the Trust had made to continue the $85,000 sponsorship fee to be used for employment or unemployment activities. Instead, he insisted that the UCT pay $85,000 for the use of TSBA’s name. Trustee Don Elledge, an attorney by profession, clarified that the trust name was, ”Tennessee School Board’s Unemployment Compensation Trust” which did not include TSBA’s name. He explained that the only use UCT made of TSBA’s name was to require that members of the UCT be members of the TSBA. At Mr. Conley’s insistence that TSBA’s name not be used without a fee being paid for its use, the UCT trustees reluctantly voted to drop the requirement that trust members must also be members of TSBA. And because TSBA would not agree to use funds from the trust for activities related to employment, unemployment or personnel management, UCT trustees also voted to discontinue the annual $85,000 sponsorship payment to TSBA. Although UCT made numerous attempts to continue the long standing relationship between the two organizations, TSBA leadership never followed through with the commitments they made; instead, they began actively campaigning to discredit the UCT and its leaders. The UCT had traditionally sponsored a breakfast at the TSBA convention each year that was free to trust members. However, TSBA leadership removed the UCT breakfast from the TSBA Convention calendar and denied UCT the opportunity to host the event at Opryland Hotel. That resulted in the UCT establishing a member appreciation dinner which has been held annually at a venue other than the Opryland Hotel since that time. The TSBA attorney sent a memo to its membership that it was a violation of the code of ethics for school board members to attend the UCT dinner. UCT’s new attorney, Dewey Branstetter subsequently sent a letter to all member boards informing them that there was no legal basis for such an opinion and that it was merely an attempt to intimidate UCT members not to attend the UCT dinner. The Attorney General opinion requested by TSBA suggested that UCT trustees should not be appointed by the TSBA President but should be selected by the membership of the trust. That change was incorporated into a new intergovernmental agreement signed by member boards that became effective March 31, 2005. That agreement also officially changed the name of the Trust to the Tennessee School Boards Unemployment Compensation Trust (UCT). It provided for two trustees to be elected by the members in each of the three grand divisions of Tennessee and a seventh trustee be elected at-large. It required that each trustee be a member of a school board holding membership in the Trust. Providing no justification whatsoever, TSBA sent a letter to all member boards urging them not to sign the agreement. In spite of this communication, all members signed the agreement. In 2005, David Jones of Hancock County became the first trustee elected at-large by a vote of all member boards. Ron Britt of Wilson County, representing Middle Tennessee, became the first trustee to be elected by the membership of a region. In 2006, Camille Lashlee (Ho uston County) representing Middle Tennessee, Jasper Taylor (Crockett County) representing West Tennessee, Tammy Baird (Hawkins County) and Roger Greene (Hamblen County) representing East Tennessee were elected by the member boards in their respective regions. In 2007, with the election of Joey Cooper (Benton County) representing West Tennessee, the Board of Trustees became entirely elected by the membership. The Comptroller’s office held the opinion that UCT must invest only in government backed securities and not in the stock market. Trust Attorney Keith Dennen advised trustees to immediately begin the process of moving all funds to such investments. Trustee Ron Britt (Wilson County) proposed that such a move be delayed until a study of legal investments could be completed. In February 2006, Britt moved that attorney Dennen be relieved of his duties and that Dewey Branstetter be employed as UCT attorney. Branstetter successfully argued that UCT was like Tennessee Consolidated Retirement System and that investment in the stock market was not statutorily prohibited. Ron Britt’s motions may have saved UCT from destruction but it certainly paved the way for the enormous financial success enjoyed by the trust and its members since that time. TSBA paid out the remaining lease amount of $118,500 rather than provide space for UCT offices. In 2007, trustees voted unanimously to purchase an office space in Hunt Club between Hendersonville and Gallatin and to employ a Director of Finance and Administration full-time. Kristi Coleman became the first full-time employee of UCT. The new office facility provided an opportunity for the UCT to collect and display information about the history of the UCT and the people who contributed to its success. The UCT held its first trustee meeting in the new facility in October 2007. In 2010, Unemployment premiums were changed from quarterly payments to one annual payment. The premium calculations for each member school board became based on the board’s average claims cost of the last four and one-half years. Unemployment claims escalated significantly because the state, prompted by the federal government, extended UC benefits to a total of 99 weeks. The Utrust Employee Appreciation Program flourished in 2010 as a new focus on student leadership in the EAP was implemented. The program began promoting a theme for celebrating each appreciation day. A Utrust Writing Competition was initiated as part of the EAP and 14 awards were presented to winners across the state. The 11th Annual Utrust Member Appreciation Dinner was held at the Pinnacle building in downtown Nashville. A newly created slideshow describing the EAP celebrations in local school systems was shown and awards were presented to Hawkins and Jackson Counties for Most Outstanding EAP. Through wise investment and sound management practices, the Unemployment Compensation Trust rebated premiums to member systems for eight out of the last ten years, thus bringing significant savings to each participating school board. In fact, Utrust paid out over $4 million more than member boards paid in premium from 2001 through 2010. At the same time, Utrust reserves grew significantly. 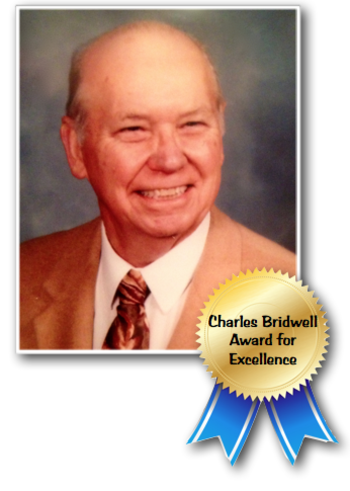 The Charles Bridwell Award was established in 2012 to be given annually to three boards, based upon district size, with the lowest average unemployment compensation claim per employee. The award was named in honor of Charles Bridwell, a former Utrust chairman and long-term member of the Sullivan County Board of Education. In 2012, the staff proposed that Utrust establish mini grants as a way to share the success of the trust with its members. In the past, even when trustees declared substantial dividends, school board members were frequently unaware that their system had even received a dividend. Further, the money was commonly added to the general fund and seemed to have little impact on the district. The mini grant proposal was presented as a way to promote excellence in employment practices in member systems and to create an incentive for boards to control unemployment compensation costs. it was also seen as a way to enhance the image of the local school board and boost employee morale by channeling funds to schools and classrooms where the staff could see the direct impact of the funds on their students. The first mini grants were presented to school boards in 2013. Each member school board had an option to use their entire allocation for a systemwide project of the board’s choosing, use the mini grants for school-wide projects proposed by principals or allow individual teachers to apply for mini grants to be used in their classrooms. Never before had the distribution of Utrust funds created so much excitement in local school districts and an abundance of evidence indicated that relatively small Utrust mini grants made a big difference in local school districts and their schools. To encourage excellence in employment practices, five standards based upon practices that would result in reducing and controlling unemployment compensation costs were established. Each board that met all five standards would earn the Five Star Award as well as an increase of 25% in mini grant funds. Five Star Awards were presented at local board meetings by trustees. Trustees set aside a part of the fund to be used as dedicated mini grants, $200 for each school that established an A-Team to lead an employee appreciation program in its school. This program created great excitement across the state and provided a significant boost for the Utrust Employee Appreciation Program. In 2017, Trustees changed the Utrust Employee Appreciation Program to the Utrust Appreciation Program because a new component of teachers thanking students was added. Through Utrust, local school boards in Tennessee have been able to maintain stability in unemployment compensation costs by paying low annual rates to the Trust and having all claims paid by the Trust. Now Utrust is helping school districts to improve staff morale and provide leadership opportunities for students through the Utrust Appreciation Program. The plan is for Utrust to continue in perpetuity to provide programs and mini grants to make schools better places to learn and work.